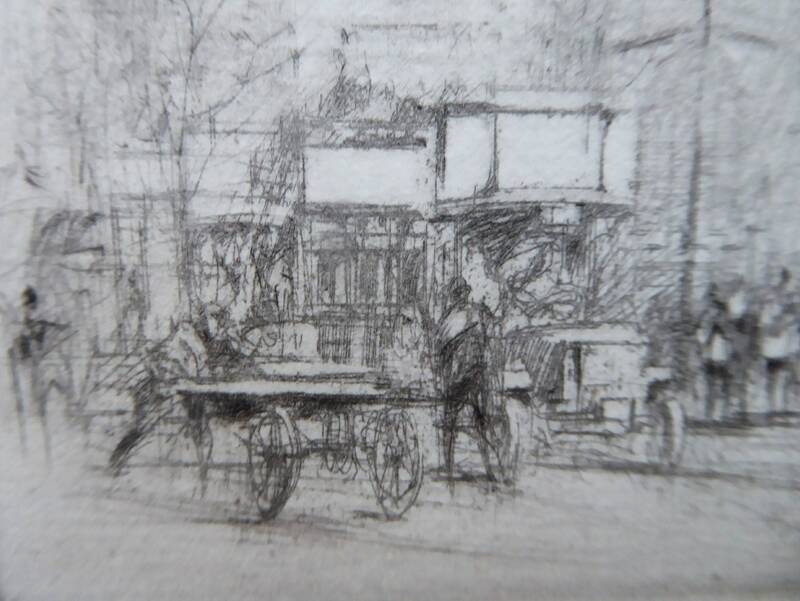 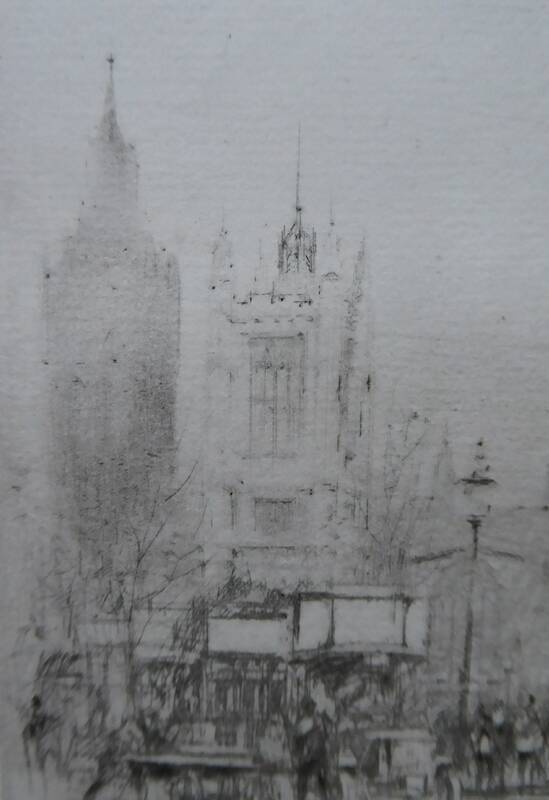 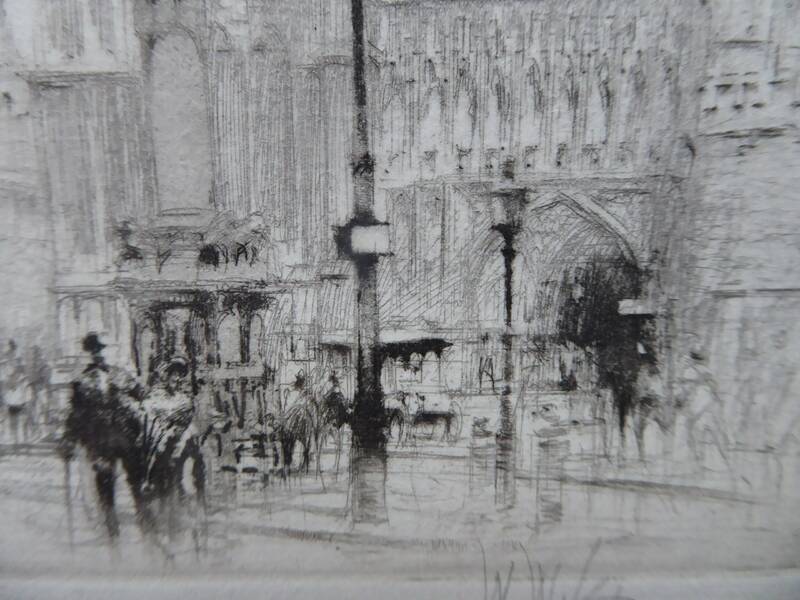 This little gem of an etching drypoint (with touches of aquatint) is very ethereal in feel. 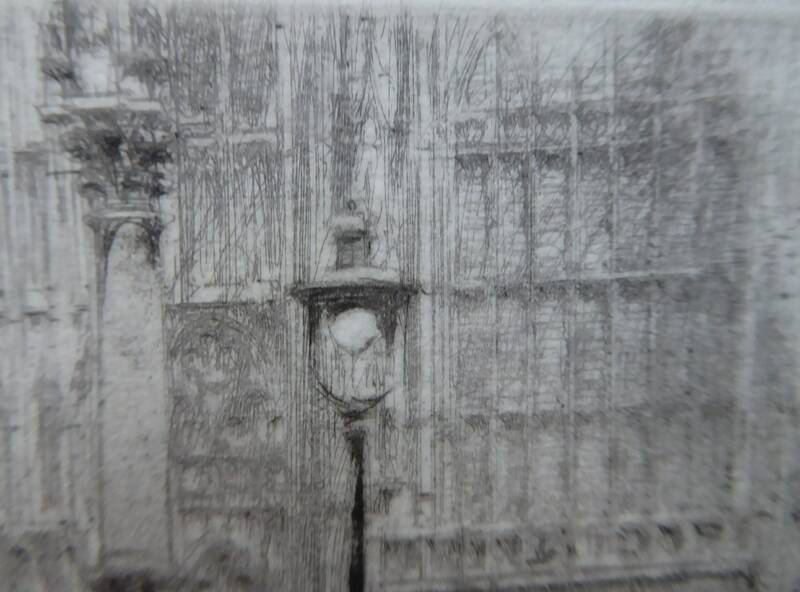 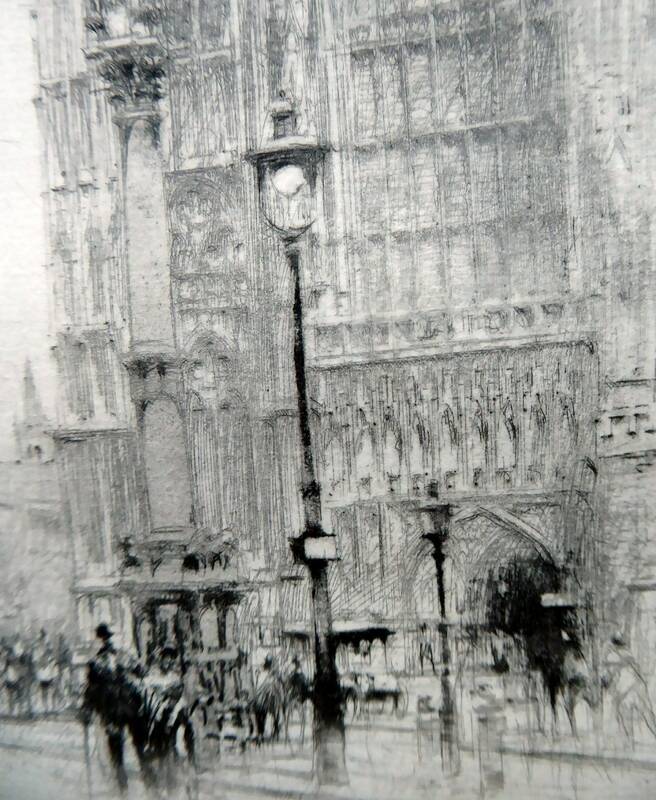 It shows a corner of the Houses of Parliament with Westminster Abbey in the distance. 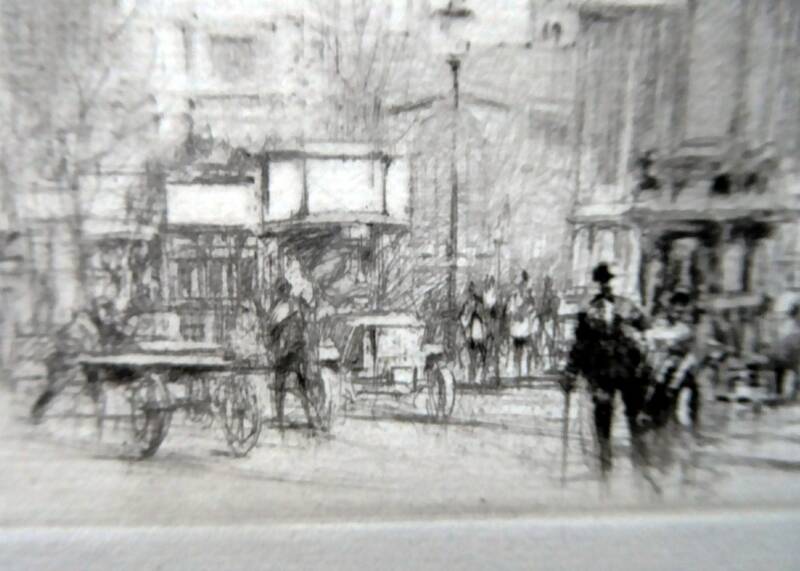 It seems from Walcot's etching that congestion in the roads of London is not such a modern phenomenon - there seems to be a gridlock of traffic to the left - and he certainly documents changes taking place with transport - with modern omnibuses running alongside horse-drawn vehicles. 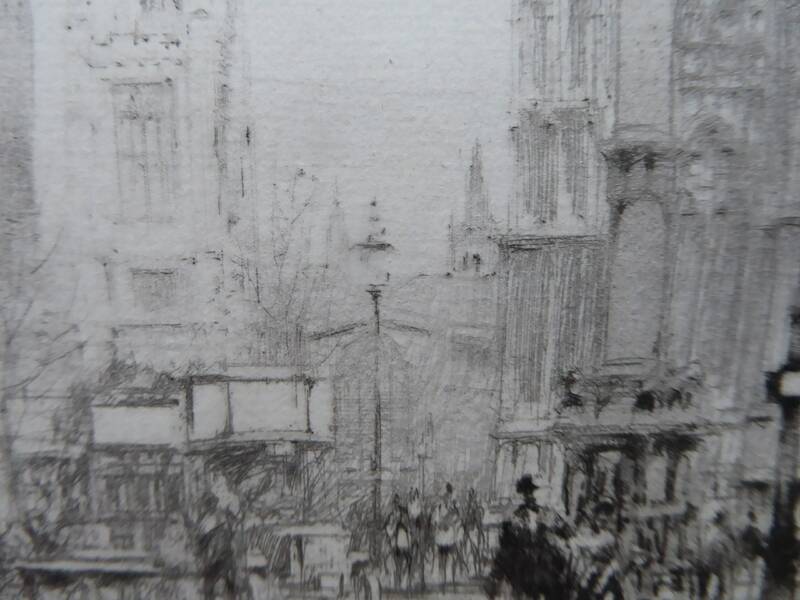 Walcot shows buildings and features of historical interest and offsets them by adding details of modern life. 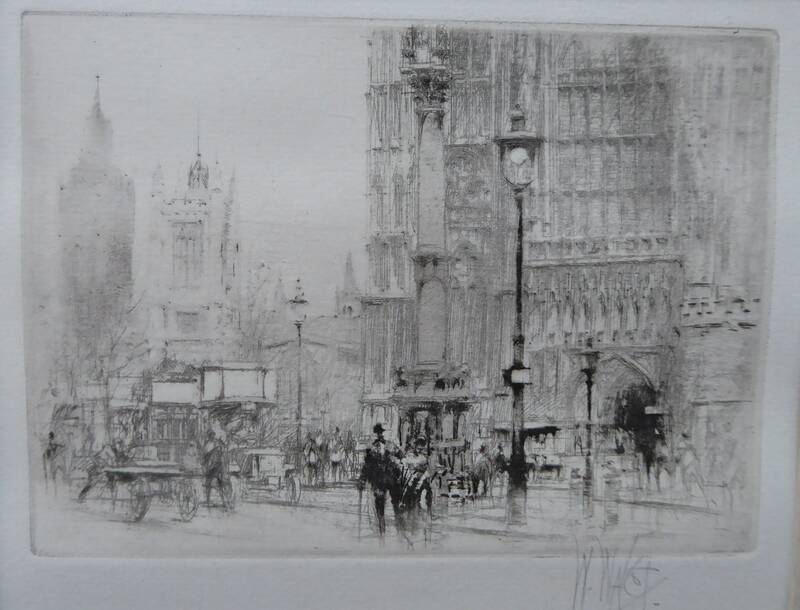 Here, he adds an open-topped omnibus - which can just be seen in the background turning the corner into The Strand. 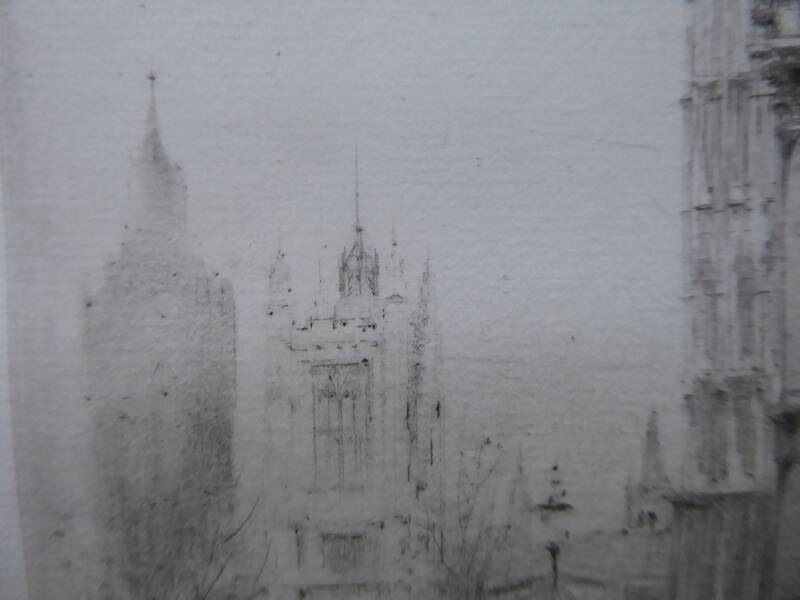 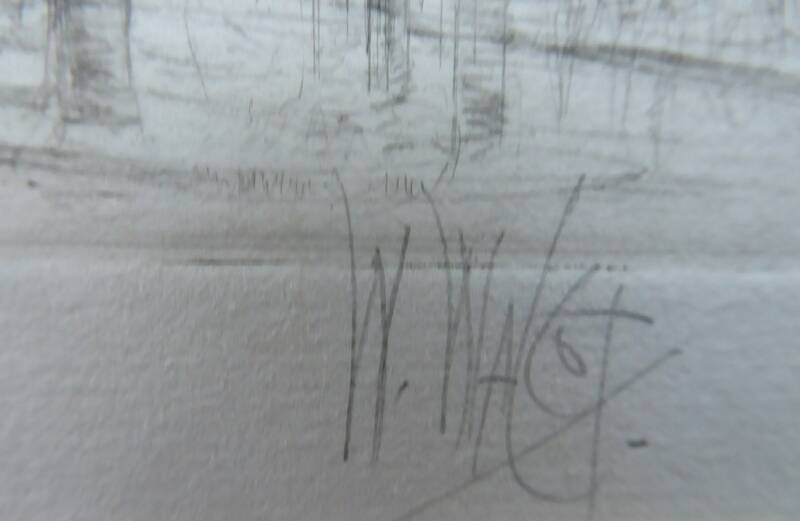 The image measures 9.1 x 12.6 cm and is pencil signed.